Located above the Sheraton LIC Hotel, Vista Sky Lounge offers event goers beautiful NYC views as it serves as the backdrop for special events. 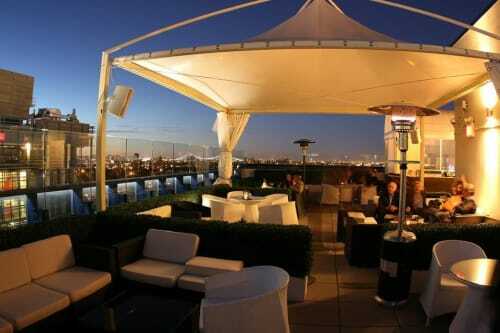 The space features state of the art retractable roof, so no aggressive weather can stop the party. Host an unforgettable cocktail party, receptions, gatherings, and much more in an intimate and inviting atmosphere.